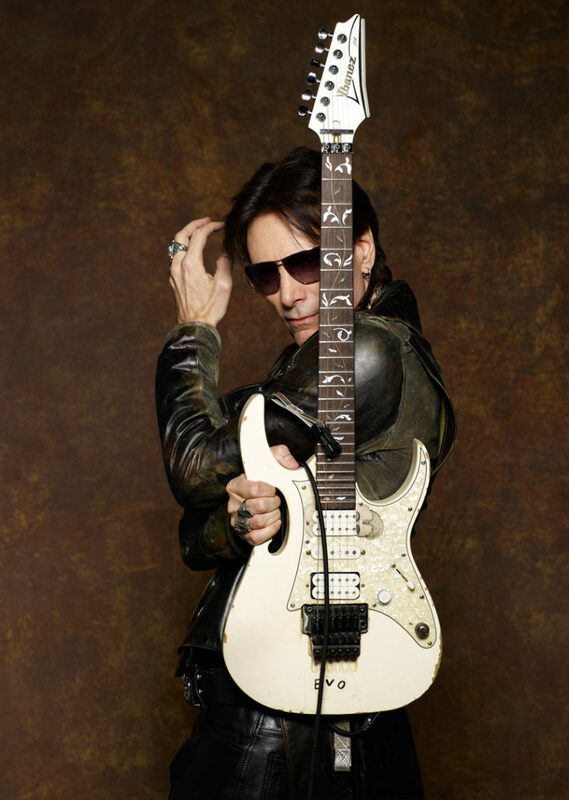 To the ears of Steve Vai, the sound of ringing guitar strings is pure, unadulterated bliss. For Vai, the guitar-playing virtuoso who rose from humble East Coast obscurity status to the top of the hard rock world thanks in part to stints with the likes of Frank Zappa, Yngwie Malmsteen in Alcatrazz, David Lee Roth, Whitesnake, and then his own successful foray in the solo world, there are few things on Earth that are finer than a distorted electric guitar. 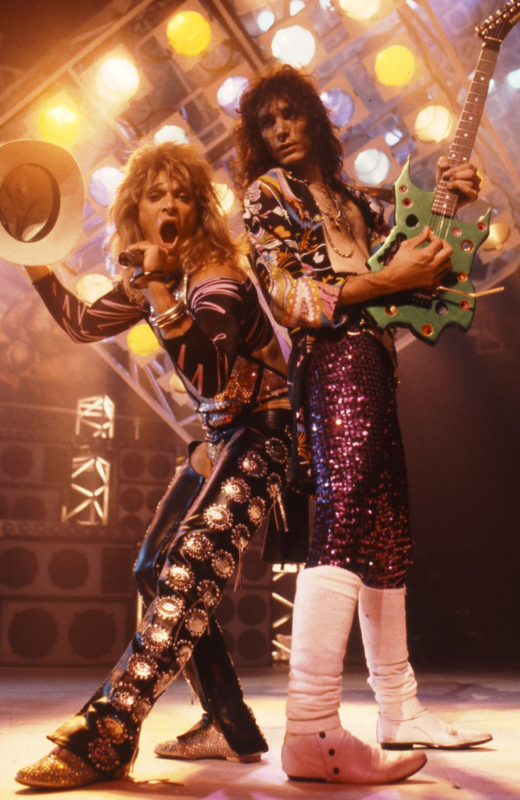 “There’s nothing cooler-sounding to me than beautifully harmonized guitars and those distorted strings ringing in harmony,” Vai said unabashadly in a recent phone interview. Vai took his passion for the six-string to another level in 2016 when he launched the first incarnation of the Generation Axe tour, hand-picking five of the top players in rock — Tobin Abasi (Animals As Leaders), Nuno Bettencourt (Extreme), Zakk Wylde (Ozzy Osbourne, Black Label Society) and Yngwie Malmsteen — and putting them on one stage, to play for audiences around the globe. Naturally, the guitar community was thrilled and sought an encore. Fortunately, the fans’ audience — Vai — was listening. Abasi, Bettencourt, Wylde, Malmsteen and Vai will once again join forces this fall for 32 performances across the Unites States, beginning on Nov. 7 at the Fox Theater in Oakland, California, and including a stop at Hoyt Sherman Place in Des Moines on Nov. 18. 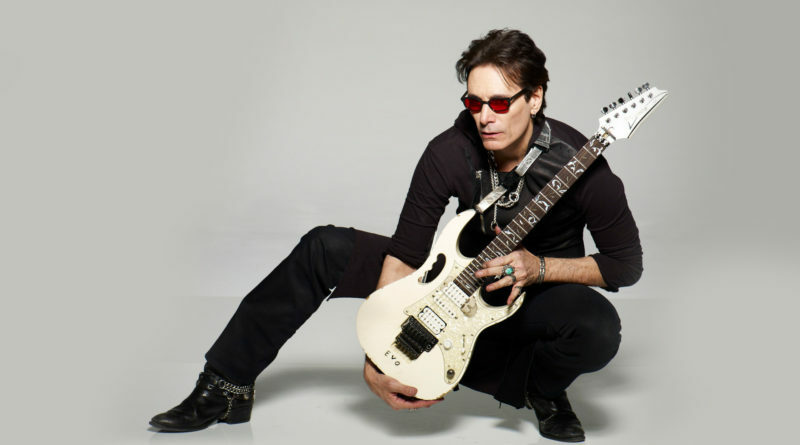 ListenIowa caught up with Vai to discuss the tour, his never-ending quest to sharpen his playing abilities, and his experiences with musical geniuses that are Frank Zappa and David Lee Roth. Where did the concept of touring with four other guitar greats and calling it “Generation Axe” come from? I love to come up with different incarnations of bands and shows and stuff like that. This is one that I’d had for a long time. I’d envisioned this concert experience where there was one great backing band and five great guitar players who would take to the stage and not just jam — that can become a mess sometimes — but to actually do some classic songs where the guitar parts are well harmonized. And when you get five of that, it’s just so special. It’s like the realization of attempting to have five Brian Mays on one stage. There’s a fine line in jam sessions with that many people playing the same instrument. Things can go awry very quickly. Yes. But we constructed these songs with some very arranged parts, so it’s not a chaotic disaster, and it worked out really, really well. 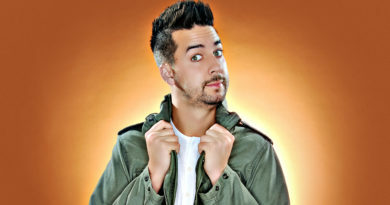 When you were choosing the players, did you intentionally pick five musicians with different playing styles so each would bring something unique to the show? Yeah, absolutely. The first thing I did was create genres. There are all sorts of diverse-type players in all these different genres, so I wrote down “metal,” “blues,” “rock,” and “fusion,” and then I put all my favorite guitar players under each category. The first one I decided on was the metal category, because it’s closest to my heart. I was so fortunate that the top five players I wrote down were all interested. How will this work each night, then? We’ll change things up a bit from the first tour, but this one will reflect the first tour somewhat just because it worked so well. In the beginning, we all come out, and we’re playing “Foreplay” by Boston, which is a beautiful piece and totally ripe for five guitar parts; it’s just stunning. Then each guy will do a 25- to 30-minute set, and in between those sets, another guy comes out. For instance, Tosin will come out and does the first set, then Nuno comes out and does a song with him. Nuno then does his set, and then Zakk comes out and does a song with him. It’ll go that way until the end when four of us come out and do a song, and then all five of us cap it off. It’s constantly moving. We keep it interesting. There’s diversity, but there aren’t any breaks where the show stops for 15 minutes and a new band comes out. It’s very seamless. What did you learn from the first tour that you’re going to apply this time around? Put tickets on sale way ahead of time. (laughs) It’s interesting. There wasn’t much that happened that I didn’t expect. Everything was so well thought-out and organized, and everyone was so respectful. There were really no surprises. There were some differences, and we had to adjust and get used to each other’s volumes on stage and stuff like that, but everyone has been in the business so long that it all worked out. If it’s not broke, don’t fix it. No need for change. No, not really. You got through your whole life with all these goals and desires to achieve. You put your axe to the grindstone, and you work hard, and then there’s a payoff. The payoff is a tour like this; it’s like a little vacation. Nobody has to work so hard. It’s not your tour, so you don’t have all those responsibilities of being the guy who’s in charge and has to pay for everything. Everyone gets paid well, everyone gets to play together and hang out together. We’re taken care of, and it’s just an easy, fun thing. And there’s no worry about album sales. There’s a video from the first tour of you playing “Black Star” with Yngwie, which is great to hear and see. At this stage in your career, does learning other people’s material make you realize that there still room for expansion in your playing ability? Oh, there’s always room for expansion. Playing an instrument is an infinite process if you retain your passion for it. If you retain your interest in the instrument, you will always find things that will help you to expand. Something like learning an Yngwie song, how can you not? His style is completely different than mine. But to be respectful to the song, I have to work within the framework of his melodies and his type of playing. There aren’t a lot of guys who can play that stuff, and I don’t do it nearly as well a lot of other people, but I get by enough to respect the song. Just announced this week was the “Big Mama Jama Jam-A-Thon” coming in September, another one of your unique musical ventures, this time with 52 straight hours of playing. Yeah! That was an idea I had 25 years ago, of a non-stop jam session for 52 hours. I finally decided to do it because I’m on the board of directors of the non-profit foster care home unit in Hollywood called Extraordinary Families, and they really could use some help. We’re doing this as a fundraiser. It starts on noon on Sept. 28, a Friday, and it goes to that Sunday. And it’s non-stop for 52 hours. I’m inviting everybody to come up onstage and play in an impromptu way. And it’s not just musicians. 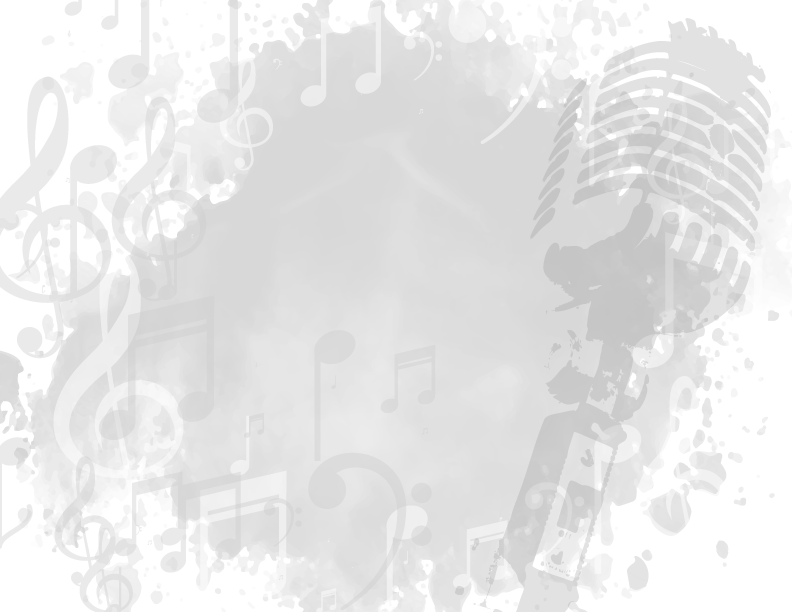 I’m going to have speakers, comedians, actors, all kinds of different instrument players, soloists, maybe a band. The important thing is this: the music never stops. Any reason why Extraordinary Families is near and dear to you? I like to involve myself in at least one charity on a personal level, not just donating. I was with Hollywood Arts for years, and they were fantastic. A friend of mine had adopted some kids, and I found this organization (Extraordinary Families) and was invited to be on the board. It’s fantastic. There’s such a need for homes and for mentoring. There are 20,000 kids in the L.A. foster system. This is a unique organization in that they’re non-discriminating. You can be any ethnicity, sexual persuasion, married or single, and you have a great opportunity to foster a child. I see these kids, see what they need, and it’s nice to just be able to help a little. You had the opportunity to be in Frank Zappa’s band early in your career, a musician who probably isn’t credited enough for his musical genius. What did playing with him mean to you, coming from an insider’s perspective? Frank was, on many levels, ahead of himself and also ahead of his time on certain types of music that he was doing. I was a huge fan as a kid. Frank embodied this sense of freedom that I didn’t see in anything. His music is brilliantly wonderful and diverse. It was done so well and with attention, passion and quality. He was an explosion of freedom. If anything frustrated him, it was the fact that he knew how free we are, but how we trap ourselves in our own conditioning. He was less conditioned than most people, which allowed him to be completely free with his creative expressions. He was constantly creating. He was a completely absorbed person. I think his music really resonates with the fans who are drawn to that. It’s like finding a treasure in life. To have been a little piece of that was extraordinary. Is there anything happening on the David Lee Roth Band front at this time? You guys came close to a reunion a couple of years ago, but were shut down at the last second by the fire marshals. It’s hard to tell. As I get older, I realize that reaching for the glory days of yore isn’t so interesting to me. I love Dave, and I love those days I had with him. To get together and do something would be nice if it worked out, but as time goes by, my priority is to get as much of my own music out as I can. You have to be careful with your time. Your second album with Dave, “Skyscraper,” was a departure from “Eat ‘Em And Smile,” but many fans now talk about that being a vastly underrated album despite the bit of a left turn. With “Skyscraper,” Dave wanted to do something different. He didn’t want to make the same rock record, so it was a little more experimental. Plus, I was in the mix, and my musical sensibilities are just different than the conventional rock player. So it was a venture into a different area, yes. But I’m proud of it. What led to your leaving the band directly thereafter, then? The reason I left that band wasn’t for any other reason than I felt a strong pull to do my music. I knew what I was leaving, and it was tough because it was a great, great gig. But at some point you don’t feel fulfilled unless you’re doing what your real creative intentions are demanding. For additional information, visit http://www.generationaxe.com.